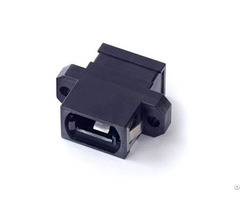 Business Description: Flyin Optronics Co.,Ltd was established in 2005,is a professional fiber optical products manufacturer,specialize in the production and marketing of fiber products (like Connectors, Adaptors, Attenuators,Patch cords,Pigtails). 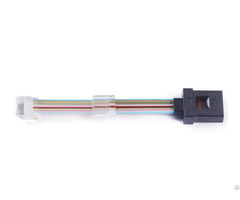 These products are mainly used in communication systems,such as LC,SC,FC,ST,D4,DIN,MU,MPO,MTRJ,SMA,E2000 ect. 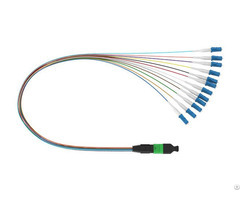 We offer an extensive range of precision fiber components to serve end-users,distributors,resellers,installers and OEMs worldwide. Owing to our excellent engineering services,technical support,mass production fast delivery for every customers,the products has been exported well to USA,Canada,Europe,South America,Asia and other countries or area. Flyin always cherish the opportunities every customer gives us,each products we supply undergoes an extensive manufacturing and inspection process to ensure high performance.Our mission is to offer premium products and service for customers based on a competitive price. All the products we sell are new and top quality, we use the good raw material, all the products are under strictly quality control, 100% Insertion Loss, Retrun Loss, End Face and Interference inspection. We’ve got the ISO, SGS, RoHS certifications and ensure the quality comply with them. The massive production and scienntific management have resulted in cost reduction, we supply all the products with competitive price for every customer, our aim is to build long-term mutually beneficial cooperation. Usually the delivery time is about 3-5 working days, big quantity will take longer time, if request very urgent you can kindly tell us for arrangement. We normally take the DHL, UPS, FedEx to ship out the products from warehouse to your office, shipping only take 3-4 days.